Nobody fits perfectly into a stereotyped box. God has made each of us very unique, allowing us to function in different roles of society. However, we do see some general, overarching characteristics of mankind that were designed by God. These traits were instilled in us to help us accomplish the tasks that God has set before us. One of these tasks is what we have called, “The Creation Mandate.” This is the calling by God to have dominion over the earth, subdue it, fill it, and care for it. As you might imagine, this job is a huge undertaking – but incredibly rewarding! What traits might God have instilled in us to help us accomplish this task? I would argue that one of these traits would be a sense of adventure. Imagine yourself as Adam: God had tasked you with the care of the world He had just created. One of your first tasks was to name the animals, calling for the innate trait of creativity. That task alone would certainly call upon that spirit of adventure, as you walk along the creatures that God has brought to you to name. Although initiated by the fall of man, when Adam and Eve were kicked out of the Garden of Eden, God essentially opened the world up for them. Granted, the amount of work that was needed to care for the earth had increased exponentially (but even that work can be an adventure). There was a world that they had been tasked to care for that was ready to be explored and experienced! So, where does that leave us? It leaves us with a generation that is disconnected from “real world experiences.” At WildHeart Adventure Camp, it is our desire to lead our campers to rediscover their sense of adventure. 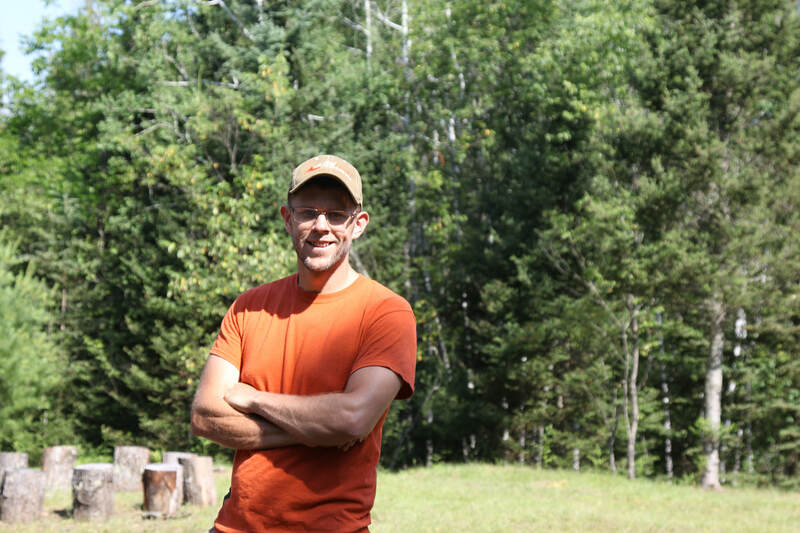 We offer outdoor experiences, such as rock climbing, white-water canoeing, backpacking along Lake Superior, and mountain biking. We give our campers the opportunity to experience God’s creation first-hand. Through teaching camping skills, we also encourage growth in leadership, responsibility, and respect. All of this is taught and led from a Christian worldview, with the purpose of encouraging our campers to live an adventurous life to the glory of God! Many parents may feel they want their teen on a road to independence yet, is independence really the goal for our teenagers or is total independence a myth? 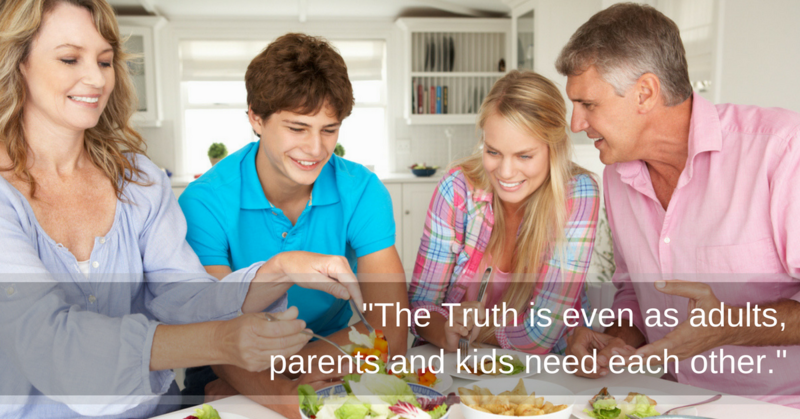 At first every need from eating to well - you know - had to be taken care of by parents. That was the dependant stage. Over the years more independence occurs and it should. However, total independence is not the end goal. In fact total independence is a myth and would be very lonely and unrewarding. The real end game is something called interdependence. Interdependence involves an appropriate amount of independence mixed with a good healthy amount of dependence too. God never intended for man to be alone. In fact He said that it wasn't good. From the start He gave man a woman. Later they became a family and eventually friendships occurred as well. All of these represent dependency. As your teens transition into less dependence on family and friends, don't make the mistake of trying to force them to become too independent, self reliant and proud or resistant to advice. Remember they still need parents for advice and wisdom, they'll need family for support and enjoyment, and they'll need teachers, friends, pastors and others too. In addition, remember you need them as well. Let's face it, as we parents watch our kids grow up, we begin to realize that we need their love and friendship too. As they move into adulthood, we'll find that we need support from them, encouragement from them, talks with them and maybe even advice as they grow in their own relationship and walk with the Lord. No, we aren't talking about being a buddy and not being the authority in their lives when they are 15. We aren't talking about them needing to live in our basement until they are 27, but we are saying that we think an interdependence should be fostered as they move into their late teens and twenties. Finally, I'd be wrong if I didn't remind you of a truth I am sure you know. Ultimately, our complete dependence is on God, our faithful loving friend. Strive for interdependence. Enjoy needing others and be someone people need especially when it comes to your kids. 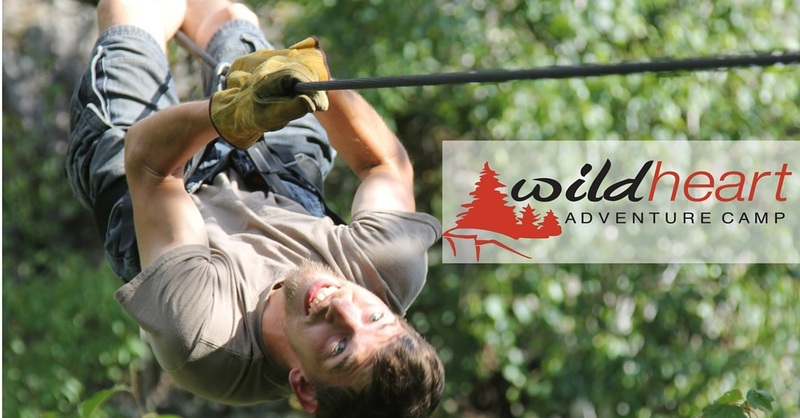 Click Here to Learn more about what we teach at WildHeart Adventure Camp and consider if it may be right for your son. How do we as parents approach it? While there are many good resources out there with input on this question, we wanted to give you a few thoughts that are maybe outside of the normal ways to approach gaming as a parent, especially if it is becoming too much a part of your family’s life. Obviously if your teen is playing games to the exclusion of responsibilities, physical activity, good communication with others and so on, gaming is too high on the priority list. 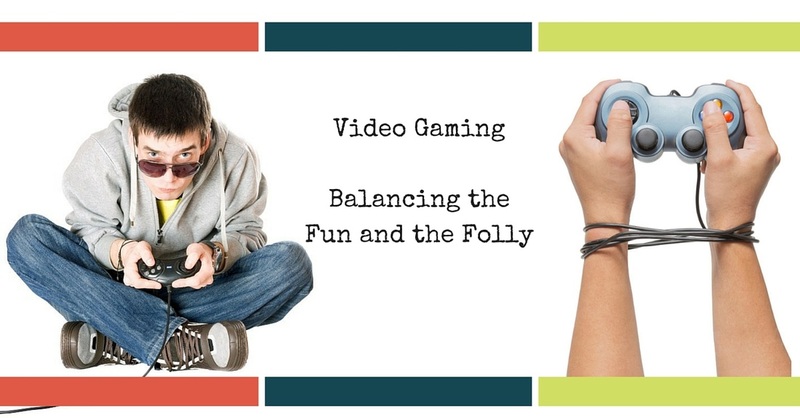 If gaming has become your go to resource to keep your teen out of trouble, off the street, or away from unwholesome friends and if you’ve come to rely on it as a babysitter of sorts, gaming may be too high on your priority list. Here are 3 ideas to help you counteract the gaming and replace it with some other activities that bring much better rewards than an extra life, a new spiro-zapper to kill the zombies or a bonus round. Have your teen take a Spiritual Gifts analysis. You can find a good one by clicking here. Once you and your teen have an idea of the gifts he has been given by God to serve others, help him strengthen these gifts. Make an appointment with your pastor or youth pastor to discuss the gifts your teen has and ask where they might be used in your church. Think of ways your teen can serve with their gifts in your neighborhood, with people you know or at another local Christian organization like the YMCA, a Christian camp or charity. Tons of places need good volunteers. The good thing is that your teen will desire to help in these ways because one of the truths about our gifts is that God has wired us to want to use them. Now, laziness may be another problem, but using our gifts is one of the best ways to beat the flaw of laziness too in our teens because they see results and are energized as they serve. Consider a summer Adventure Camp program. This will help your teen get active, enjoy the outdoors and learn some leadership, communication skills and teamwork. There are many great programs across the country. 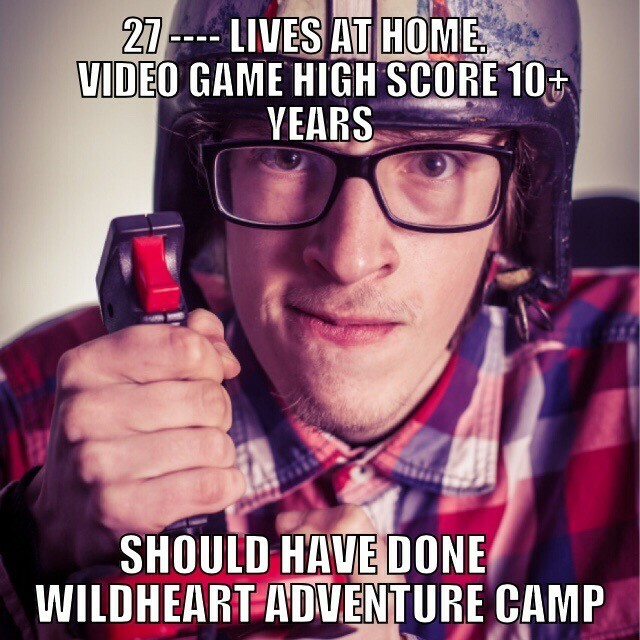 One is our own WildHeart Adventure Camp. We would invite you to watch the video, compare our prices (hint – we are less expensive than others because we function as a ministry of Victory Academy for Boys.) and read about the skills your teen will learn at WildHeart. Help them start their own business. Here are 37 ideas to stir your thinking. If they aren’t the entrepreneur type, perhaps you can look at our article on helping kill the boredom in the summer where we give an idea for encouraging your teen to get busy at home with a point system that works for teens up through 17 years of age. Check it out here. If you feel we can be of help to you or you are interested in WildHeart Adventure Camp, please contact us today. Here are the other 3 articles on Gaming that we came across recently. They aren’t all from Christian sources, but we felt you’d find them interesting. Researchers at Columbia Mailman School of Public Health and colleagues at Paris Descartes University and a number of other European universities assessed the association between the amount of time spent playing video games and children’s mental health and cognitive and social skills. They found that playing video games may have positive effects… Click the link to read more. researchers employed magnetic resonance imaging on 106 boys ages of 10 to 19 — all of them seeking treatment for internet gaming disorder. The researchers then compared the findings to 80 boys without the disorder to see just how their neural wiring differed. Click the link to read more. A common trick young people pull is to ask extended family members and friends to give them games with higher ratings than appropriate for birthdays or as Christmas presents. If your kids have a generous grandmother or unassuming uncle from whom they typically receive gifts, make sure these folks know what your standards are and how to check ratings. Click the link to read more. If we can be of help, please contact us at Victory Academy for Boys. We also invite you to learn more about our summer Adventure camp program called WildHeart. Click on the picture below to watch the short video and learn more.